England produced a stunning performance in the second Investec Test Match at the Emirates Old Trafford, beating Pakistan by 330 runs to level the series at 1-1. The Investec Test Series will now move onto Edgbaston (3rd Test Wednesday 3rd – Sunday 7th August 2016) before the final deciding test at the KIA Oval (Thursday 11th – Monday 15th August 2016). After suffering a 75-run defeat at Lords in the opening match of the series Alastair Cook’s men bounced back in convincing fashion. After winning the toss and electing to bat the Three Lions, led by Cook (105) and the ever-improving Joe Root (254) ended their first innings on a mammoth 589-8 (declared). Then it was the turn of the bowlers to inflict further misery on the tourists with Chris Woakes (4 for 67) and Ben Stokes (2 for 39) spearheading a brilliant bowling performance which saw Pakistan dismissed in just 63 overs for 198. Given the dominance of his bowlers many expected Cook to enforce the follow-on and look for a swift end to the game, but the England captain instead choose to give his seamers a crucial break as the hosts returned to the crease. England’s victory owed much to the batting of Joe Root. The 25-year-old is one of the world’s most talented players and his vast range of shots, proved to be too much for the Pakistan bowlers to handle. After a gigantic score of 254 in the first innings, the Yorkshire star scored added another 71 runs in the second innings; including his fastest ever half-century in Test cricket which came off just 38 deliveries. 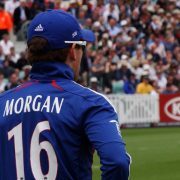 His match total of 325 runs is the fifth-highest aggregate by any England batsman in a Test. He also became just the third England player to score 250 and make a 50 in the same Test Match. A truly remarkable performance from Root. 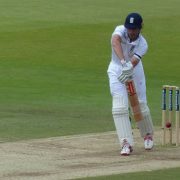 Alongside the ever reliable Cook (76) England set the visitors a target of 565 to take the game. Once again the power of the England bowling attack, particularly the impressive Chris Woakes, proved the difference in the decisive Investec Second Test. But it was England’s leading all-time wicket taker Jimmy Anderson who made the crucial breakthrough early on, removing Masood for just one run. Azhar was the next to fall to the Lancashire legend and after Moeen Ali removed Hafeez, Pakistan were 83-3. Staring down the barrel of huge defeat, Pakistan did provide some resistance but in truth they were outclassed and a flurry of wickets saw them move from 102-4 to 167-7; with Woakes, Anderson and Ali doing the damage yet again. Fittingly it was Woakes who claimed the final wicket to cap off a tremendous display of bowling as his delivery to Amir was driven straight into the grateful hands of Stuart Broad. This was England’s second-biggest victory against Pakistan in terms of runs; and there fifth biggest Test Match victory in terms of runs. Eventmasters are delighted to once again be offering the finest cricket hospitality for England v Pakistan this summer. 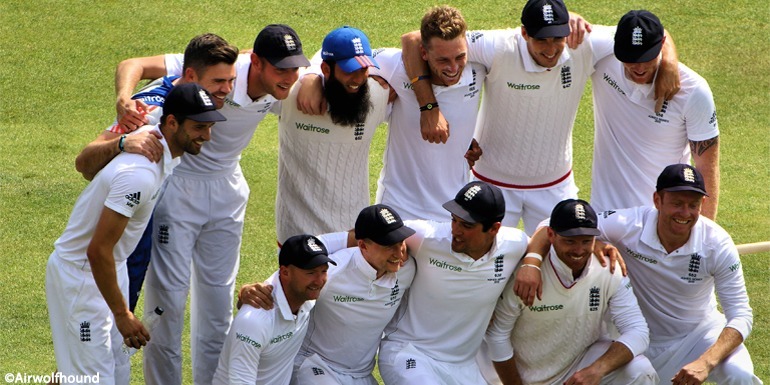 With the series now level at 1-1 the final Test at the KIA Oval will be anything but a dead rubber, with both sides either looking to secure the series or avoid defeat. Our OCS Stand Box is the perfect way to enjoy this fantastic match in VIP style. Please follow the link below for more information. After the conclusion of the Test Series attention turns to the Royal London ODI Series and after a brilliant win over Sri Lanka earlier in the summer England will be looking to continue their development against Pakistan. 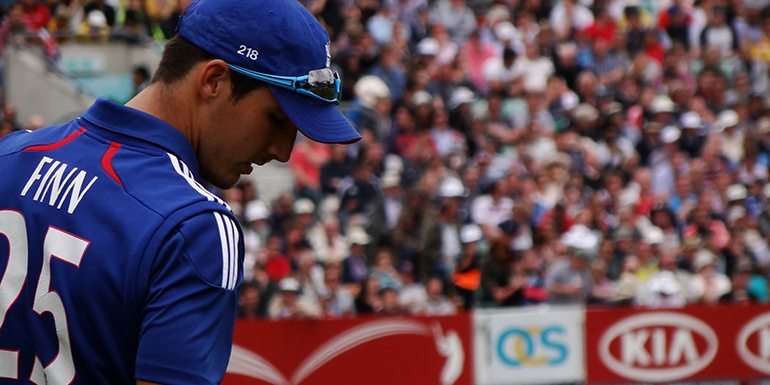 The third One Day International at Trent Bridge will be an exciting encounter. Eventmasters have the only remaining availability for this sold-out game, with our official packages inside the Boundary’s Edge hospitality facility. Please follow the link below for more information. The fourth game of the One Day series takes place at Headingley and Eventmasters are delighted to offer spectacular hospitality inside the luxurious Headingley Pavilion. This superb fixture will be one of the games of the summer at one of England’s premier cricket venues. Please follow the link below for more information. The ICC Cricket World Cup - who makes your greatest ODI XI of all time?